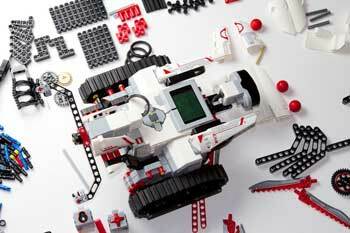 Programming, Robotics and Design are quickly becoming essential skills for success. These are not easy skills to build, but research has shown that exposure to these concepts early on has a significant positive impact on success in these fields. Our Programming and Robotics Course focuses in hands-on activities, promoting a “learn by doing” mindset and encourages experimentation to provide a solid foundational education in Engineering Design, Programming and Robotics. Our Programming and Robotics classes are available as Holiday Programs and as Extra-Mural activities at our locations and at select schools. See our Timetable and schedule below to enroll. Suitable for 6 – 15 year olds. Classes are 1 hour long and run in the mornings or afternoons, at select schools and at the Blairgowrie Recreation centre. Registration for 2018 is open. Contact us for further information. Class sizes are limited to a maximum of 16 children per class. CLICK HERE TO BOOK NOW, OR CONTACT US FOR FURTHER INFORMATION!